The court provides protection for victims of family violence. If you have been a victim of some sort of family violence, you can seek a temporary protective order (TPO) against that individual. It is imperative for victims of a family violence to take advantage of the court’s protection. TPO can not only protect yourself but your children as well. There are also stalking protective orders and restraining orders pending a divorce that are available. A Family Violence Temporary Protective Order serves as protection from individuals in a familial relationship where someone has committed an act of violence or some sort of felony. 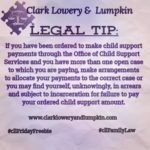 These acts can occur between parent-child, past or present spouse, stepparents-stepchildren, foster-parents and children, and anyone you currently or formerly lived in the same household. TPO provides protection against various forms of violence such as battery, assault, stalking, criminal damage to property, criminal trespass, and unlawful restraint. In order to obtain a protective order, you must file a petition in Superior Court of the county the alleged abuser resides. The petition must explain the specific acts of family violence that have occurred. TPO petitions are then reviewed by the Superior Court Judge in an ex-parte hearing. An ex-parte hearing means that only one party to the suit is present to argue for the protective order. If the petition is granted, it will be transferred to the local Sheriff for service. TPO’s are valid for 30 days or until the next hearing if past that timeframe. After 30 days, the victim must present evidence of the violent act to prove more likely than not violence will continue to occur without the protective order. TPO can be extended for one year or become a Permanent Protective Order (PPO). If the judge finds a cause for the extension, the abuser will have to comply with its terms. Both parties can agree to extend the protective order and will become a court order upon the judge’s review. If the protective order is violated, please inform the authorities as soon as possible. The respondent can be arrested and spend time in jail for violating a protective order. TPO’s usually prohibit any sort of contact between the alleged victim and abuser. A protective order can also evict someone from your shared household and cease harassment, intimidation or threats. In addition, TPO’s can also award temporary custody of minor children, visitation, child support, and spousal support. The court also revokes the abuser’s license to carry and confiscates any weapons in their possession. The TPO is enforceable in all counties throughout the state of Georgia and other states around the country. A Stalking Protective Order can be granted when a person follows, places under surveillance, or contacts another person at or about a place or places without the consent of the other person to harass and intimidate the other person. It includes various unwarranted contact in person, by phone, email, social media or any other methods of communication. Stalking protective orders go through the same process as a family violence protective order. Stalking orders can, at times, be very hard to prove because you have to establish a pattern of harassment and that the abuser had no other legitimate purpose for such contact However, it provides important protections such as prohibiting any contact and to cease all acts of stalking. Another form of a TPO is a divorce restraining order. 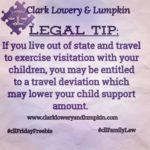 This usually restrains a party from harassing their spouse and interfering with the property of the other during a divorce. 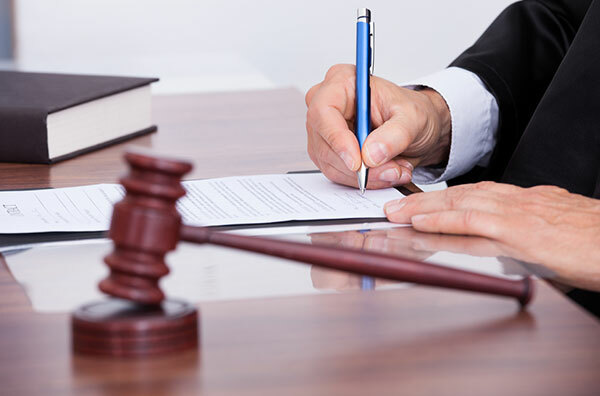 A divorce restraining order can also restrict parties from removing the children from the jurisdiction of the court. In many counties in Georgia, a standing order is issued along with the Complaint for Divorce which is then served upon the other party informing both of these protections. When a TPO is issued, it is very important upon the filing party to comply with the order. Many judges may terminate a protective order or refuse to extend an order if the filing party communicates with the respondent. These acts of family violence and stalking are serious matters. If you feel threatened, harassed or have been abused, it is important to seek a protective order. 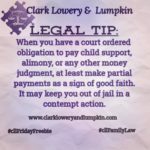 The attorneys at Clark, Lowery and Lumpkin are here to help you draft these petitions and represent your best interest.